GOS or CSI Detector? What would you choose? Whether you are just starting radiography service and need to cut down cost or upgrading your system to catch up with recent technology advantages, this question might pop up into your mind. To Summarize the major differences between CR and DR systems, we will mention the most thought of aspects for any business. Normally the first thing that comes on mind is, what is the cost associated of owning a CR or DR acquisition system and if the difference out weights the benefits. Although CR systems still have cost advantage, the reduction in DR cost in the recent years, along with the continuous development of its technology, made it the preferred choice in most cases. DR acquisition systems can produce same CR results at less x-ray dosage depending on the type of the flat panel detector (FPD) used. Whether the detector is CSI or GOS, it has two to three times more dose efficiency than CR system. Less x-ray dosage is not only useful for patients but also for x-ray tube usage and consumption. 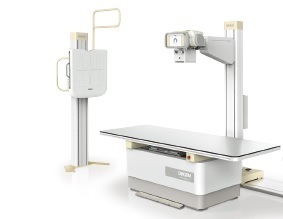 It can prolong the x-ray machine life-time and make it more efficient in scanning dense tissues or obese patients. The DR acquisition and image processing takes a few seconds as the receptor (detector) is itself the image processor, it is a one step process. On the contrary the CR takes much more time from exposure to cassette scanning to image processing. The speed of operation is crucial for practices with busy workflow and for small practices that are keen to offer optimum service by spending more time with patients. There are pros and cons owning both solutions when it comes to after sales service. CR systems have more mechanical parts and require more regular service than DR acquisition systems. On the other hand, CR cassettes are less expensive and not as risky to handle FPD. Although FPD are getting lighter, more shock tolerant and less likely to get damaged, they still need to be handled with carefulness as they are more likely to get entirely replaced if damaged. There are protective covers that limit drop accidents, they cost from $500-$1000. Some practices prefer to add drop insurance coverage for extra protection and for peace of mind. If you are looking at the total cost of ownership not just the initial cost of owning a CR or DR system, then you need to factor in the depreciation value. Thanks to the increasing number of FPD manufacturers, the competition is getting fierce and the prices are getting more affordable to consumers. Also putting more pressure on CR manufacturers to switch to FPD. Moreover, the nature of FPD of being just a solid plate of pure electronics compared to the CR and its mechanical parts that age over time, makes the FPD more reliable asset that can keep its value for a longer time. When time comes for purchasing an x-ray machine, many buyers with no related technical knowledge will get confused between different machines’ specification, and consequently might not be able to compare prices fairly. To start, let’s all agree that an x-ray machine consists of two basic parts, the x-ray system for x-ray radiation and the acquisition system for receiving and reconstructing an image. Calling the machine conventional or digital in todays’ market depends on whether the two parts are integrated or not. 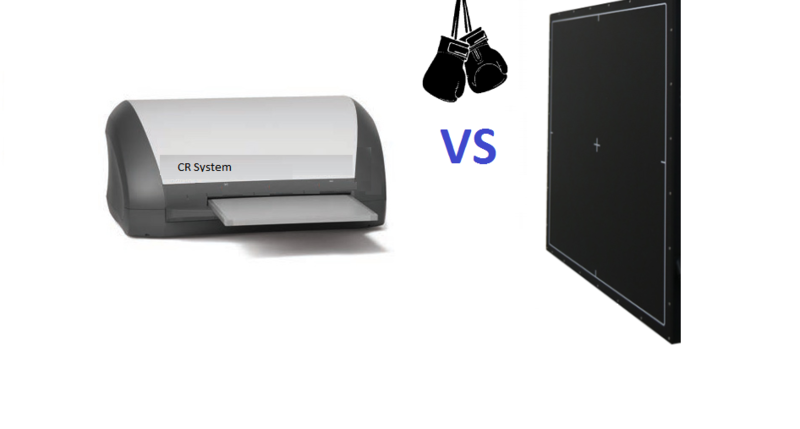 Here is a very basic explanation of the x-ray system and what features to consider when buying and x-ray machine. Wall bucky stand can be very basic or very advanced. Below are optional features to consider. Cost of ownership: When it comes to cost, CR systems win for the short-term, they can be a better choice for a new starting business or a business that has limited number of patients every day. However, considering depreciation value, satisfaction of stuff, speed and quality of work, FPD might be a better long-term investment choice even for small business. CSI or GOS Flat Panel Detecor? If you ever came across a situation to choose between CSI and GOS detector, what would you choose? 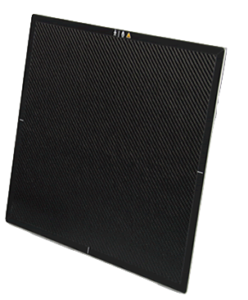 There are two main materials being used as scintillators in the manufacture of these detector panels: gadolinium oxysulfide (GOS) and caesium iodide scinitilators (CSI). CSI detectors have the advantage of higher resolution and less x-ray dosageapplied to the patients. You can apply around 10% less dose using the CSI detector and get same results using GOS detector. On the other hand the CSI detectors are roughly 20-25% more expensive. We can say the average common spine exposure is about 1 mSv in dosage. It varies depending on the machine, FOV, patient…. etc. So, doing the calculations, the 10% more dosage using GOS detector for a single spine x-ray is equivalent to 0.1 mSv. Based on the Australian Government’s primary authority on radiation protection and nuclear safety, the current limit of radiation exposure for an individual is 20 millisieverts (mSv) per year averaged over 5 years, and not more than 50 mSv received in any one year. 20mSv ≈ 20 spine x-ray exposures using CSI FPD ≈ 18 spine exposures using GOS FPD. Although we do not have clear numbers about the average dose from CR systems to achieve same GOS results as there are so many factors included but it is on average of 5% ̴ 15% higher. (20 mSv ≈ 8 CT Head examinations ≈ 3 CT head+abdomen+pelvis examination ≈ 1 PET CT examination).